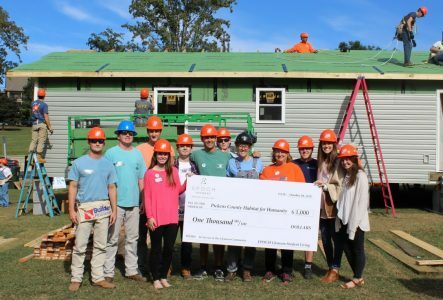 Every year, on homecoming week, Clemson joins forces with Pickens County Habitat for Humanity to build a home for a deserving local family. According to the University, students, organizations and community members donate more than 1,800 man hours to get the project done. In just under ten days, the frame of the house is built on campus. Then moved to the actual site to be finished. It’s a fantastic tradition for the Clemson to band together, roll up their sleeves, and help a family in need. Our EPOCH Clemson tribe couldn’t wait to get involved! This year, the new home is for the Tolberts. The local family of four is currently living in an apartment. However, their building is not handicap accessible, which is an issue for their father, Anthony Tolbert, as he uses a wheelchair. Their new house will be fully accessible. EPOCH representatives signed up for multiple shifts to help with the build. Our tribe members worked with other volunteers to install ventilation under the roof to help the attic breathe. This was one of the final steps of the on-campus construction. We also made a $1,000 in-kind donation to the cause. “The build was a great way for us to live out our Valeo mantra of ‘Work Hard. Have Fun. Help Others.’ in all capacities! 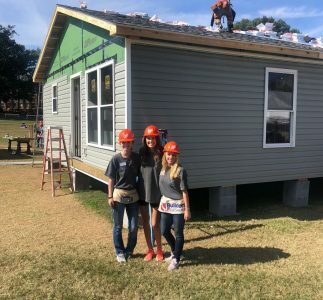 We look forward to participating in future Habitat for Humanity projects as well,” says Becca Cockman, EPOCH Clemson Student Brand Ambassador. 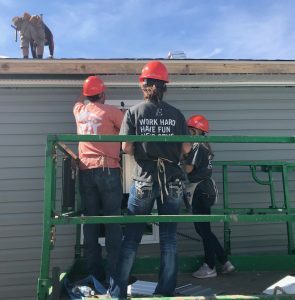 We want to extend a big thank you to Clemson University and the Pickens County Habitat for Humanity for organizing this event for the past 25 years. 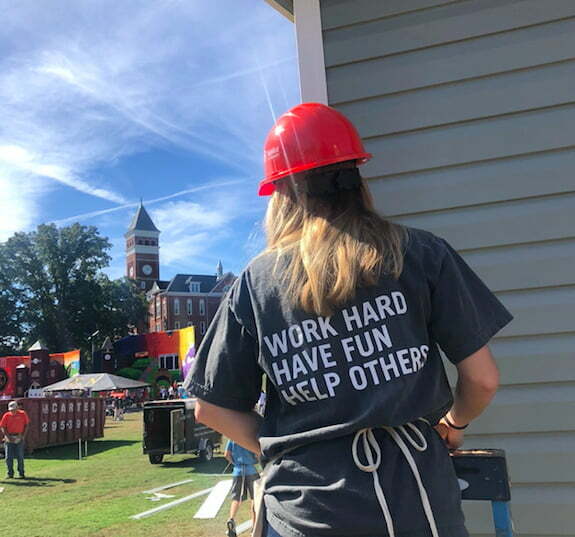 While homecoming week is a happy occasion, it’s also valuable to give back to the community during this time, to channel the excitement and energy on campus to a worthy cause. 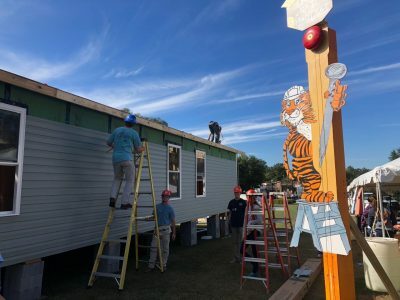 We at EPOCH were honored to step into this Clemson tradition while at the same time, representing our Valeo goal of leaving it better, working hard and helping others. Not too mention — we all had fun!